So many cute bags here! Love when KS does flash sales. I love a good kate spade bag! this is such a great sale. The hot pink one please! OMG! There goes my last pay check! I'm in love with the hot pink bag. I am in love with so many of these bags! Such an amazing sale! Purse #5 is calling my name! That baby blue color is gorgeous! Numbers 4 and 8 are my faves! I don't think I'll purchase anything, but I'll definitely look lol. Option 8 is so cute, I love the color! Number 8 is my favorite! I love the color! Ugh Kate Spade has the most gorgeous things! I'm in love with bags 4-7, but 5 has really caught my eye! I need every single one. All the heart eyes here! 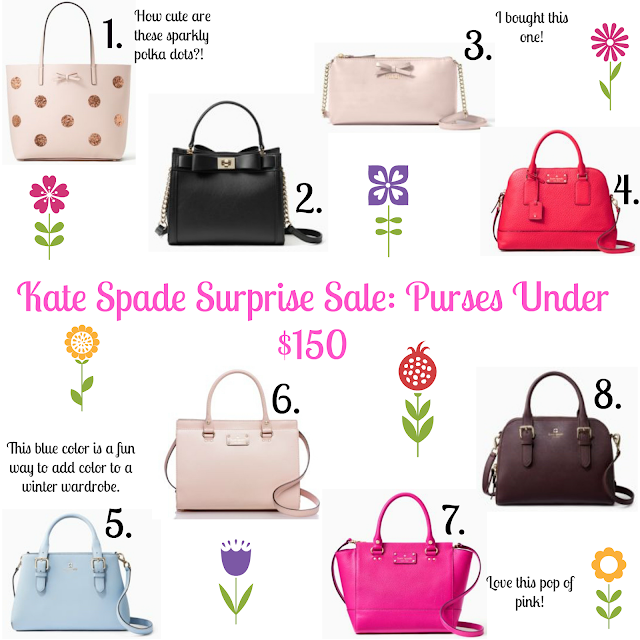 I love when Kate Spade has sales! Really like the fun polka dot one.